Alaya possesses a unique exotic flare with its daring lines. 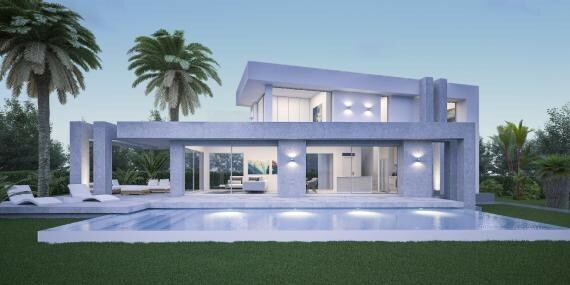 Located in the exclusive urbanization of Monte Olimpo in Jávea Spain. This villa is just 8 minutes from the famous Arenal beach on the Costa Blanca Coast. This spectacular, one of a kind, open concept design, is fitted with 4 bedrooms, 4 full bathrooms, and all the modern fixtures and fittings of a luxury home. Designed for a spectacular 1000 sq. 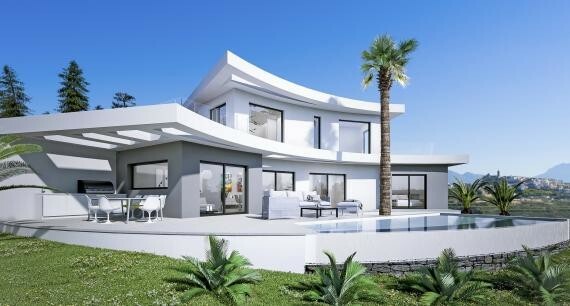 meter corner parcel with views of the Mediterranean Sea and Montgo Mountain. Enjoy your days relaxing by the infinity pool, or entertaining on the terrace. 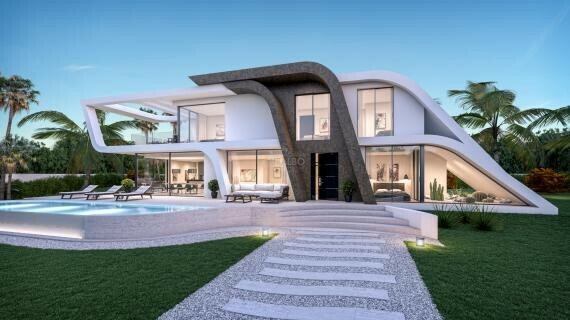 This private residence features an infinity pool, a truly unique design and high quality construction. The home is delivered turn- key including garden, pool, and high quality finishes, fixtures and fittings.